Equality is a concept that “good” developer should have to avoid unexpected mistakes from software development. And clearly, the output will be: a is equal to b. With value types, using == operator actually is bitwise equality, means they’re both the same binary representation. Further, in objective C, object has its own method to compare with others, it is isEqual, is this case, using isEqual is fine for now, but what is it? We will discover it afterward. Of course, result will be str1 is equal to str2..
Now, result will be only arr1 is equal to arr2.. Conclusion, isEqual is still right while comparing 2 NSArray, but not for == operator anymore. And as we can see, the addresses of 2 arrays are now different. So we can not compare 2 arrays by using == make sense. Question: What happen with NSString? Why it can use == operator? It means why 2 strings are pointing to the same address in memory. This turns out a concept which is really cool to optimize comparison. Called string interning. All the NSString will be saved in a shared pool, then if you initialize a NSString with same value as the previous one, string interning will recognize and assign the address of existing string of the pool to the new string. So they’re all pointing to the same address of memory. (NSNumber should use the same mechanism). 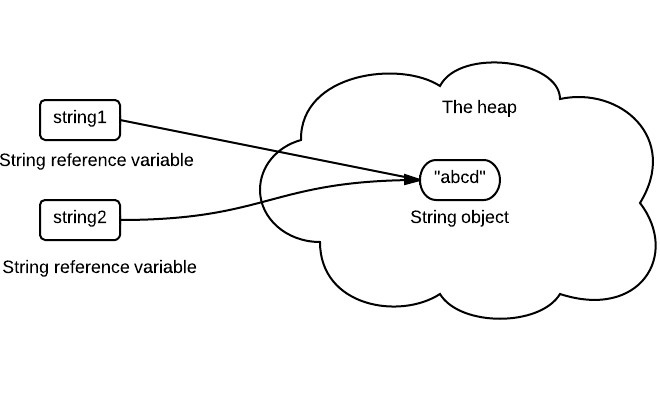 In Apple’s document: https://developer.apple.com/reference/objectivec/1418956-nsobject/1418795-isequal?language=objc, it indicates If two objects are equal, they must have the same hash value. What is hash? We would talk about it in another topic, but this make us know isEqual stuff is not just simple, and give us idea about what it bases on to indicate the result of comparison. Use high-level API while comparing NSObjects. isEqual uses hash to indicate result. string interning mechanism - cool stuff in some modern languages. So hope you’re still happy coding and enjoying the post. And feel free to raise idea and comment.